An unearthly, seventeen year-old human girl with a history that spans a lifetime of war. 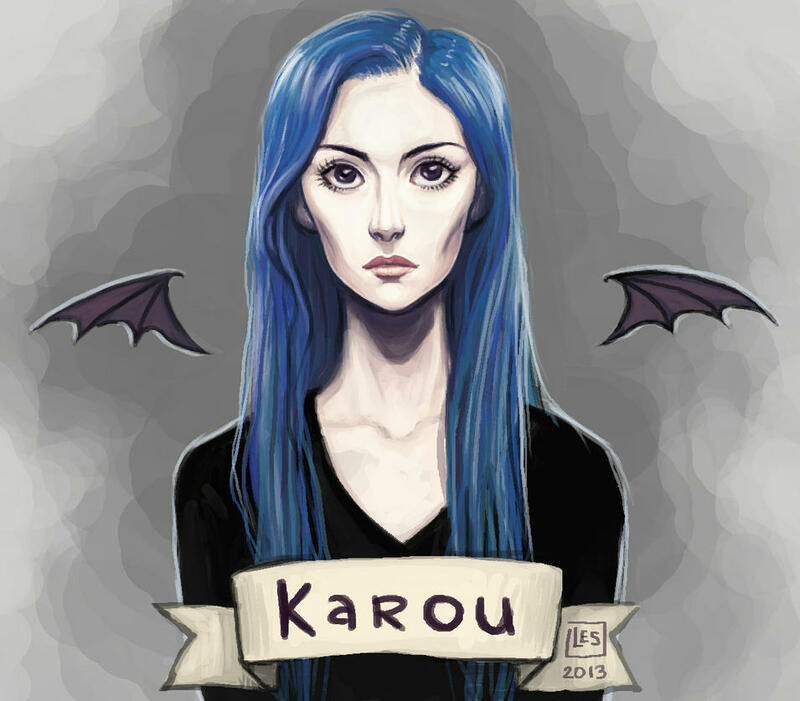 Karou, the heroine of Laini Taylor's Daughter of Smoke and Bone series, is a blue-haired art student with a secret life. By day, she sketches with her best friend and plays the part of a normal teenager. By night, she runs errands for mysterious creatures that lie hidden from the human eye. She's skilled in martial arts and languages, both of which she uses to accomplish the tasks set for her by the monsters she refers to as family. Although she is of average height and build, Karou is by no means normal looking. Something about her reminds people of an ethereal dancer, someone who is not of this world (and they aren't entirely wrong). Almost every decision Karou makes stems from her love for her friends and family. She is constantly making sacrifices for the good of others, and her bravery knows no bounds.